Join us on January 4 at 7 PM (MST) to learn about new promotions, new bonus programs, new destination rewards, business building opportunities, and ways to optimize your Synergy business in 2018! For more details, click here. Join us January 4 @ 7PM (MST) for a North America Kickoff webinar hosted by Director of Sales Debra Durfey, along with top North American leaders, who will share our exciting plans for a historical 2018! Featuring: Synergy Founder Dan Higginson, Triple Presidential Executive Mark Comer, Presidential Executive Rudy Pedroza, Presidential Executive Paul Blad, and more. Join us to learn more about NEW promotions, NEW bonus programs, NEW destination rewards, business building opportunities, as well as how to optimize your Synergy business in 2018! 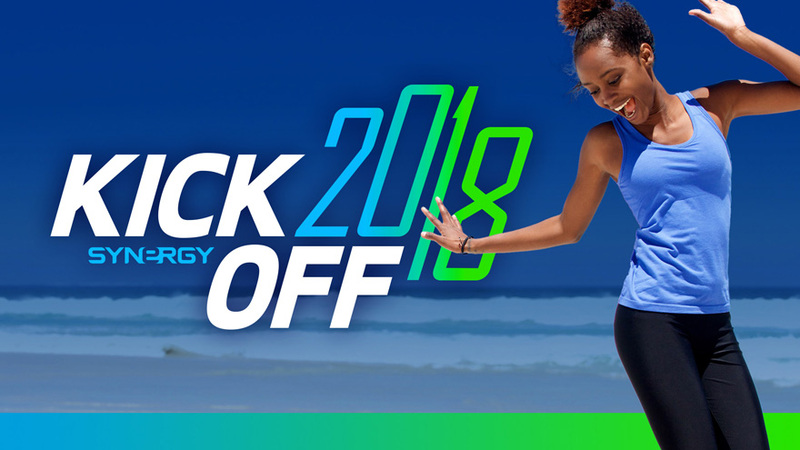 Be sure to check back on this blog for more details on the this digital Kickoff event, and what we have in store for 2018. Let’s make next year our biggest step toward a future filled with success! NOTE: This Kickoff Webinar will take the place of our weekly Opportunity Call so be sure to join us January 4! On December 22, Synergy WorldWide will be gathering to host its annual Holiday Party. Because of this, Customer Service will be closed between 12pm – 2pm MST so that our representatives can attend the party with the rest of the corporate staff. Please plan accordingly to accommodate for this closure. Normal hours will continue on December 27. With great excitement and anticipation, join with us in welcoming Switzerland— now officially open as Synergy Worldwide’s newest market. Today, individuals throughout Switzerland can enroll as a Team Member and begin building their Synergy business. We are confident that Switzerland will add to the continual growth, stability, and opportunity of Synergy WorldWide in Europe and across the world. On Thursday evenings you can join Synergy Founder Dan Higginson on a live Opportunity Conference Call. That means that this Thursday, December 14, you’ll want to jump on the line! The 2017 Elite Honors program maximizes each Team Member’s earning potential by streamlining the way organizations do business with Synergy WorldWide. In November, Synergy paid out over $5,500 in Title Plus bonuses. A special congratulations goes out to these individuals who earned a bonus this month! NOVEMBER 2017: Congratulations to the following Team Members throughout the United States and Canada. We look forward to your continued triumphs this year! The Synergy office will be closed December 25-26 for the Christmas holiday, and January 1 for the New Year holiday.